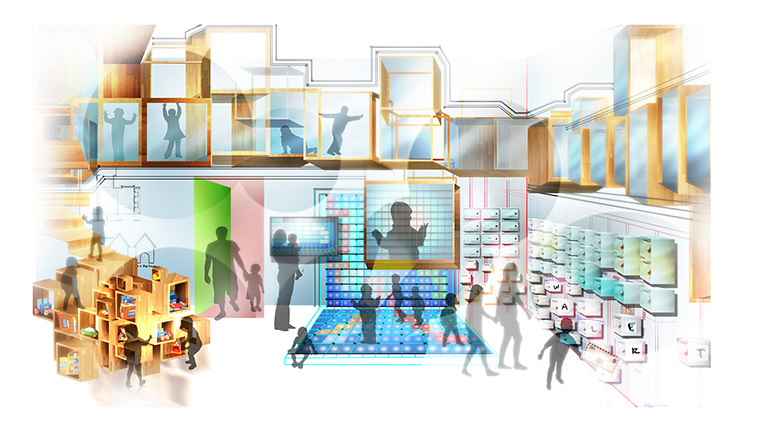 Drawn to the mailboxes and message boards, the community space expands into specialized zones for toddlers, interactive floor displays, and a place to play with blocks. Older children can tuck into a story nook or meet in the nearby art room for crafts. 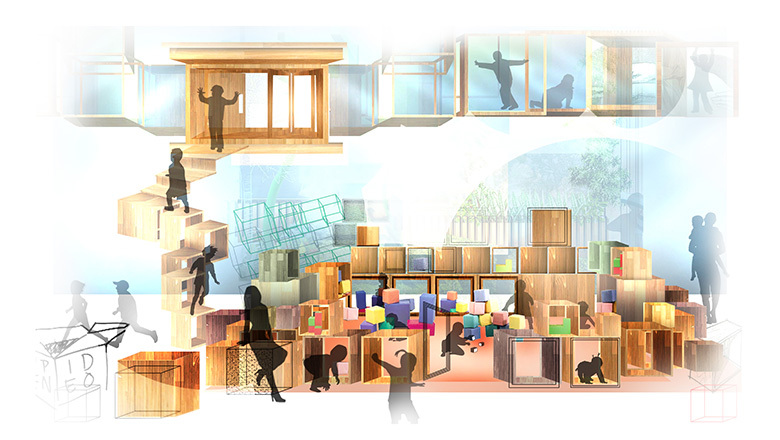 Exit through the back door or through the climbing structure curving along the ceiling and residents can enjoy the outdoors on the playground or in the picnic area. 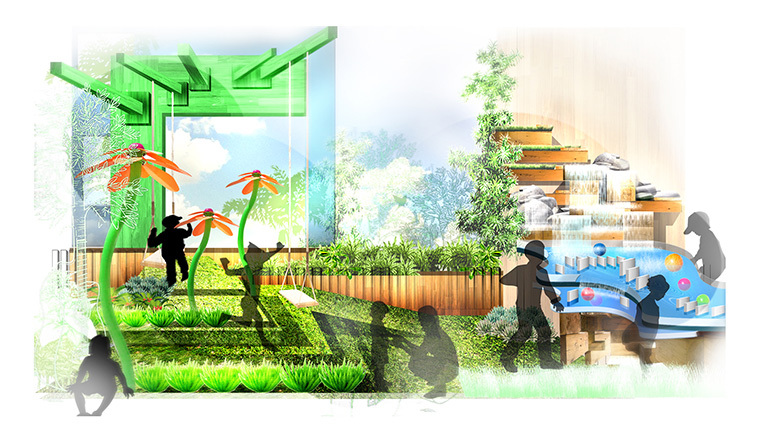 Next to the playground, kids can splash and play with the water table generated by a waterfall. 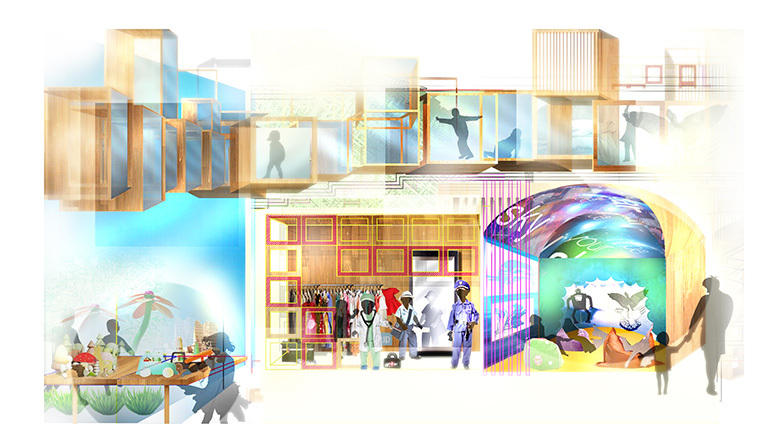 Pass through the glass wall, and the first stop is a role play area featuring costumes of local members of the community. Children can dress up like people they see every day, from bus drivers to doormen in the front of the lobby. 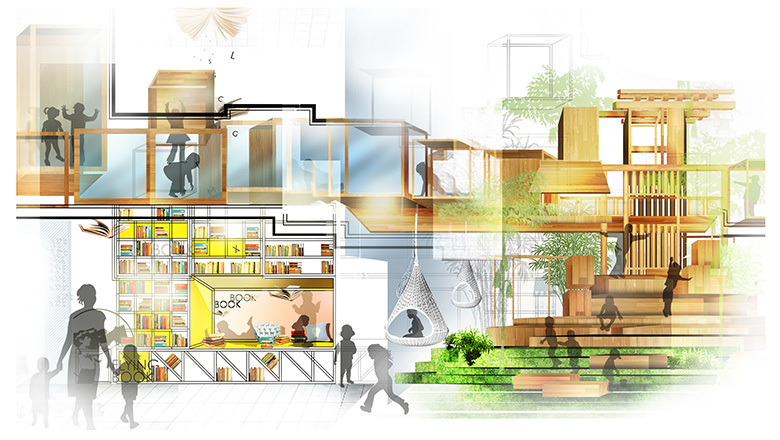 The theatre room sports a vividly colorful shadow puppet theatre and group seating, when the puppeteers prefer to play in the nearby dollhouse, or launch into another entrance to the climbing structure. A few steps away, a specialty art room beckons. 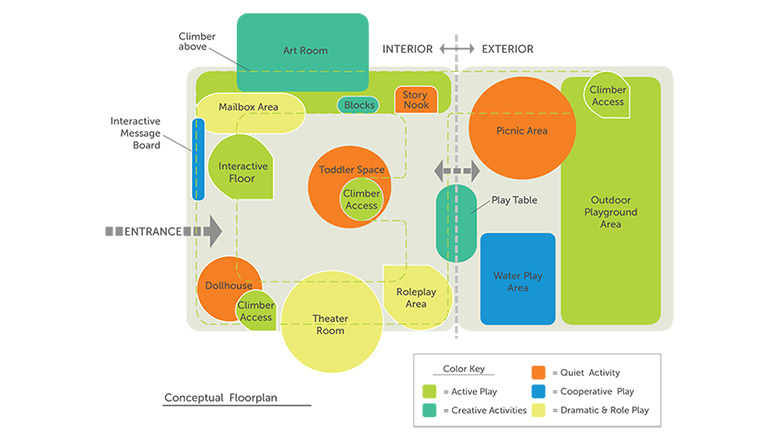 Children or groups can gather and create while parents connect nearby. 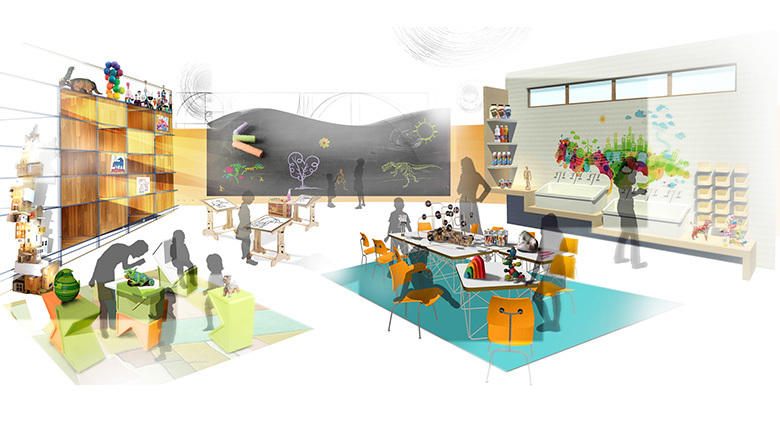 Specially accented tables host crafts, painting and even a class in robot design in view of the large drawing wall in the back.